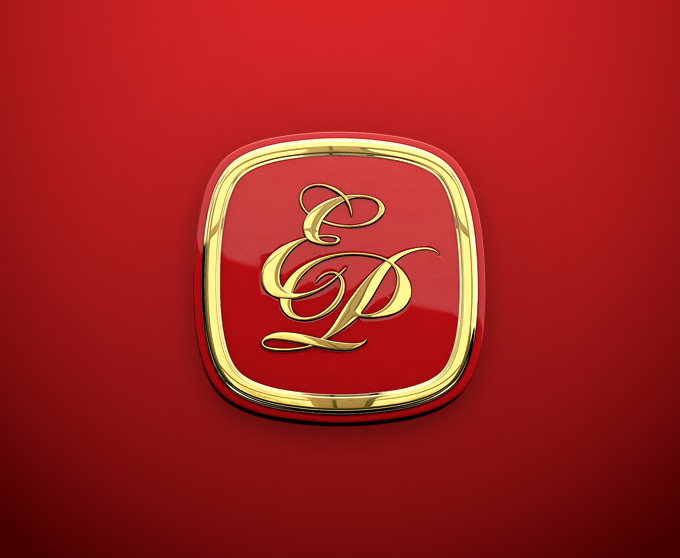 Ernesto Perez-Carrillo, the legendary architect behind the famous blockbuster brand La Gloria Cubana, is once again captivating the cigar world under his own name, E.P. Carrillo. As a young adult, Ernesto’s passion was for jazz, not cigars. He always dreamed of becoming a successful jazz drummer and, at the age of 25, he moved to New York City to pursue a career as a musician. After exhausting his efforts to catch on with the famed Stan Getz and his band, he finally returned to Miami, and began his journey to becoming a legendary master blender. In 1976, Ernesto discovered his true calling in life and spent the next four years shadowing his father and learning how a master created a cigar. In his path to becoming an established name in the cigar industry, Ernesto took over the reins of El Credito, his father’s cigar company, and set out to create a cigar that would ignite the senses and create a full-sensory experience for cigar lovers. When he finally put the perfect blend together, under his sole craftsmanship, La Gloria Cubana was re-created. The La Gloria Cubana instantly became a hit in the cigar craze of the early 90’s and, in 1999, Swedish Match purchased El Credito from the Perez-Carrillo family. After working for Swedish Match/General Cigar until March 2009, Ernesto’s children proposed for him to return to the tobacco fields and craft the next great cigar. With the start of E.P. Carrillo, Ernesto had once again dedicated himself to perfecting a family-run, boutique cigar brand alongside his daughter, Lissette Perez-Carrillo, and son, Ernesto Perez-Carrillo III. After dedicating over 40 years to his craft, Ernesto continues to develop top-rated, masterful blends under the E.P. Carrillo name at the family’s factory, La Tabacalera Alianza, in the Dominican Republic. Lissette Perez-Carrillo is a co-founder and oversees management at all levels for E.P. Carrillo. Presently, she is in charge of running U.S. operations, managing finances and legal matters as well as cigar distribution and marketing for the brand. Her masterful marketing vision is opening the company to new target markets and audiences, bringing forth a new era for the E.P. Carrillo brand. She is focused on taking the company to the next chapter, honoring the tradition and family legacy that the name E.P. Carrillo is known for. While expanding on how cigars influence social dynamics, Perez-Carrillo is exploring new ways to earn clients’ and consumers’ strong and lasting relationships with the brand. She has a diverse professional portfolio. With a Law degree from Columbia University, she worked at the prestigious law firm of Paul Weiss et al. in New York City and later at the Legal Aid Society in New York. When she moved back to Miami, she ran a real estate investment company. She also has a graduate degree in Psychology. She has been interviewed by various media from the Cigar Industry and is an active member of Cigar Association of America (CAA), Cigar Rights of America (CRA) and International Premium Cigar and Pipe Retailers Association (IPCPR). Her favorite E.P. Carrillo cigar is the New Wave Reserva. Much like the cigar, Perez-Carrillo is complex and unique with a balance between intensity and grace that is just impeccable. Ernesto Perez-Carrillo III has been learning about cigars and the industry as part of the Perez-Carrillo legacy since he was a young man. His exceptional finance and marketing management skills have helped in building the brand and product portfolio through his mindfulness of every aspect in the business and all key market segments. Known strategist, leader and visionary, Perez-Carrillo III always keeps his focus on the brand’s expansion and positioning to ensure the brand identity’s evolution and financial growth. Perez-Carrillo III has successfully developed logistics on how to approach inventory, merchandising, and vendor/client/consumer relationships – all as a result of the knowledge and skills that come naturally to him from growing up in the industry. Perez-Carrillo III is a co-founder and a member of the Board of Directors of E.P. Carrillo, where he is currently consulting on various aspects of the company. With a B.A. in Economics from Stanford University, he has a diverse professional background. In 2010, Perez-Carrillo III was interviewed by The New York Times, as an Entrepreneurship case study for E.P. Carrillo’s Marketing Strategies, Traditional versus Social Media. Perez-Carrillo III currently runs his own hedge fund. His favorite E.P. Carrillo cigar is the New Wave Reserva. Much like the cigar, Perez-Carrillo III brings a distinguishable intricacy with bold and robust characteristics that always leave a lasting impression. A passionate cigar advocate, Jose Blanco is widely known and respected throughout the cigar industry with more than 40 years of experience. As a celebrated master blender with a respected palate, Blanco is one of the industry’s greatest ambassadors. His aptitude for sales, concentration on enhancing the experience with products and building long-lasting business relationships set him apart in the trade. Characterized by his outstanding blending and tasting seminars, where he educates clients and consumers in the intricacies of cigar construction, tobacco blending and taste, Blanco is a highly-regarded industry veteran. Presently, Jose Blanco is the Senior Vice President of E.P. Carrillo. He has built an unstoppable sales force, caters to exclusive clients and continuously exercises his passion for educating with his legendary seminars. As Former sales Director of La Aurora, the oldest Dominican cigar company in Santiago, he perfected his blending abilities and was known for persistently increasing the company’s sales revenue. He previously served as VP of Joya de Nicaragua, the oldest Nicaraguan cigar company. In 2014, Blanco founded Las Cumbres Tobacco in the Dominican Republic. He has been interviewed by a multitude of media in the cigar industry and is an active member of Cigar Rights of America (CRA). He strongly believes that Encore by E.P. Carrillo is Ernesto’s best blend thus far. Much like the cigar, Blanco is full of passion and a unique complexity that continues to enrich over time. As a devoted cigar aficionado, David Spirt is constantly studying the cigar industry with an entrepreneurial and marketing emphasis that makes him a successful groundbreaker in the trade. Known leader and relationship builder, he is responsible for growth of the E.P. Carrillo client base with incredible brand retention levels. 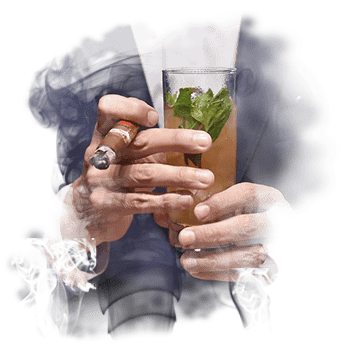 Sprit is notorious for his emergent cigar knowledge, guiding customers through flawless cigar selections combined with strategic marketing planning solutions. His approach to business development begins with providing world-class, luxury services for exclusive clients. Currently, Spirt serves as Vice President at E.P. Carrillo, where he manages the company’s largest clients while assisting Lissette Perez-Carrillo with operations, finance and overall marketing for the company. He is responsible for overseeing sales information and promotions for the sales team, and is also involved in assisting with E.P. Carrillo’s marketing. His passion for cigars and the industry have led him to participate in various respected discussion panels around the country. Spirts’ favorite E.P. Carrillo cigar is the New Wave Reserva. Much like the cigar, Spirt has a fine elegant quality that offers a perfect platform for an excellent, subtle complexity. Highly dynamic and results-driven in building new business, Scott Mackenzie has more than 15+ years of demonstrated success in delivering revenue growth. Mackenzie thrives as a creative, energetic, self-motivated professional specializing in offering clientele a deluxe service experience. He emphasizes on developing existing markets, as well as emergent new territories, while educating about the brand and product portfolio. He is characterized by forging strong and long-lasting business partnerships, ensuring loyalty to the brand. Mackenzie currently serves as the Business Development Manager for E.P. Carrillo Cigar Co., where he focuses his efforts in assisting outside sales teams and coordinates targeted sales calls within certain regions across the U.S. He also supports direct management with Social Media Coordination and Client Direct Mailing Campaigns. With a Bachelor’s Degree in Sports Management from Florida International University, he previously worked as Sr. Account Manager for the Miami Heat, where he was a leader in sales and services for almost 10 years. He has professional experience within the Entertainment, ecommerce and Marketing Industries. Scott Mackenzie’s favorite E.P. Carrillo cigar is the New Wave Reserva. Much like the cigar, Mackenzie brings a bold richness with a sweet finish that is sure the leave a long lasting impression. Emmanuel Diaz Cabrera brings a wealth of experience in marketing, logistics and operations to E.P. Carillo. A graduate of Pontifice Universidad Catolica Madre y Maestra college with a degree in Business Administration, Diaz Cabrera is almost trilingual, mastering the English, Spanish and sixty percent of the Chinese language. He adds strength to the E.P. Carillo brand at the international level by following up on clients worldwide, building up relationships in new countries, and overseeing factory tours at Tabacalera La Alianza in Santiago, Dominican Republic. Currently a Marketing Coordinator for international clients, Diaz Cabrera has appeared as a subject-matter expert on the tobacco and cigar industries in media outlets throughout the Dominican Republic and the world. He has also been the proud recipient of the Best Service 2013 award in Shanghai, China and the Best Marketing Support 2015 award, in Santiago, Dominican Republic. Diaz Cabrera mixes his zest for all things international with a bit of nature as he enjoys tree-planting. His favorite E.P. Carrillo cigar is the Dusk Stout Toro, he prefers the normal-cutter technique and coffee flavor profile. With more than 20 years of professional management and service experience, Alan Denny brings an up-front business style, increasing revenue with an emphasis on customer service. His personable approach to client satisfaction is the key to his success in upholding persistent professional relations. He is noted for identifying solutions, increasing productivity and being focused on the company’s customer growth. He is an avid whiskey aficionado who enjoys crafting pairings with cigars to magnify the consumers’ smoking experience. Currently, Denny serves as Territory Manager for E.P. Carrillo, where he oversees all accounts for Texas, Oklahoma, Kansas & Missouri. He surpasses his objective of establishing and preserving relationships with current, former and new clientele, generating long-term loyalty to the brand. He is on the Board of Directors for the Houston Whiskey Social, and has been awarded by JD Powers and Associates for customer service and finance. Alan Denny’s favorite E.P. Carrillo cigar is the Dusk Stout Toro. Much like the cigar, Denny conveys a firmness that continues to develop towards a straightforward and bold build. With 10 years of experience as a cigar retailer, Brian Padnes’ is exceptional at designing a fruitful business relationship with clients, performing as a liaison between the company, stores and distributors. He is committed to the preservation of cigar culture by educating customers with his knowledge of tobacco, cigar manufacturing and the industry as a whole. As an avid E.P. Cigar smoker, promoting the brand is one of Padnes’ passions and top priorities. While concentrating on developing new business and revenue growth, he utilizes creative and innovative strategies to encourage brand loyalty. Padnes currently serves as a Territory Manager for E.P.Carrillo, where he is in charge of the New England Territory. He has a strong focus on client satisfaction, educating and guiding clientele through the company’s catalogue to ensure the best products to meet their projected business goals. Also, he represents E.P. Carrillo as a brand ambassador for consumers, advising on the best pairings for each flavor profile. Padnes’ favorite E.P. Carrillo cigar is the limited-edition Dark Ritual 2011. Much like the cigar, Padnes unveils a powerful balance of a robust firmness intertwined with a mellow strength build. With 18 years of experience in the cigar industry, Chris Whaley has an undeniable passion for sharing his knowledge about cigars from seed to shop. For Whaley, one of the highlights in his professional career is to preform blending seminars in numerous of his clients’ establishments to further expand the brand’s recognition and loyalty. His understanding of the cigar lifestyle and his commitment to the industry have led him to build enduring relationships with clients and consumers alike. He is noted for his dedication in building brand awareness while ensuring clients’ sales growth. Whaley currently serves as Territory Manager of the Southeast Region for E.P. Carrillo, where he focuses his efforts in expanding his respective markets and revenue. He concentrates in further developing the perception of the cigar industry, guiding consumers through unique ways to enhance their cigar-smoking experience. His goals are to place E.P. Carrillo’s cigars in as many hands as possible, build continued awareness of the brand & product catalogue and nurture connections with clients, consumers and colleagues. Whaley’s favorite E.P. Carrillo cigar is the Capa De Sol to start off the day right. Much like the cigar, Whaley brings forth a unique character dedicated to the achievement of balance with a robust presence. With his expertise on palate profiles and a passion for cigar pairings with food and beverage, Peter Worth has been involved in the cigar industry for 20+ years. He is known for his ability to articulate the complexities of each cigar, focusing on consumer education while creating a unique and interesting selection experience. As a Certified Tobacconist, Worth focuses on guiding consumers through the myriad of cigars options, ensuring the best pairing possible. His is a strong-minded professional determined to building the brand through product sales growth. Presently, Worth is a Territory Manager for E.P. Carrillo, where he concentrates his efforts on sales for the Midwest region. He specializes in building long-lasting relationships with clients and educating consumers about the brand. He is an active member of Cigar Rights of America and graduated from Tobacconist University. Worth’s favorite E.P. Carrillo cigar is the Elencos Acto-Mayor. Much like the cigar, Worth continues to impress, constantly building a strong presence. Ali Crozier is the Territory Manager for the Mid Atlantic (PA, DE, MD, NJ and Southern NY). Ali has been an avid cigar smoker for many years. Her commitment to the cigar industry has been evident in the past, working for several retailers in the greater Philadelphia area. Ali’s passion for cigars has allowed her to travel to many retailers in her area and afar and also attend several industry events and get togethers. Ali’s love for cigars has allowed her to continue in the industry as part of the E. P. Carrillo family by assisting us in continuing to grow and hit new heights. Independent cigar broker representing E.P. Carrillo Cigars in the state of Florida. Independent cigar broker representing E.P. Carrillo Cigars in the states of Alabama, Mississippi and West Virginia.